When asked, most folks can say a thing or two about 3D printing. However, far fewer could talk about the critical software needed to virtually conjure objects destined to be created with 3D printing. It’s understandable; one is the material end result, whereas the other is the behind the scenes magic. Unfortunately for aspiring industrial designers, this computer-aided design and drafting software - CAD for short - is traditionally obscured by high paywalls and complex interface. As with most skilled professions, the apparent solution is to earn an education where CAD skills are a focal point - creating a new paywall in the form of tuition. Offering an alternative solution to this problem are a series of CAD tools cropping up that are user-friendly and cost-effective alternatives to the aforementioned paths towards industrial design. The first on the scene was TinkerCad, which continues to garner praise across a wide array of fields and disciplines for bringing the potential of 3D design into the lives of folks who otherwise may never give it a shot. It remains the dominant player, but why? After talking to several long-term TinkerCad users and giving the web-based 3D modeling tool a try for myself, the answer became apparent: it makes the process universally likable. What I mean by that is the interface and approach harkens back to our days as children assembling imaginary gadgets and engineering projects with Legos and similar toys. Few of us ever lose that sense of creative motivation when presented with the ability to experimentally build with objects. And that’s exactly the kind of experience one gets from tinkering with TinkerCad. The virtual building blocks break down to basic shapes which can be manipulated with mouse clicks and rearranged to suit the goals of the designer. Whether it’s a “car of tomorrow” project in a third-grade classroom or the prototype for a startup’s vision of a better way to build items in space, the actual act of putting it together in TinkerCad is basically a lot of fun. 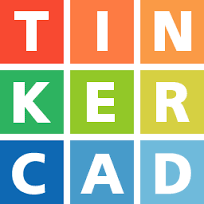 Focusing on the enjoyable design of the TinkerCad user experience, it’s easy to overlook its fundamental strength as a professional grade CAD system. Though it may be a virtual environment where imaginations can run wild, the physics modelings and material math underneath the “fun house” are state of the art. The ultimate genius of TinkerCad is the focus on the user experience without compromising the integrity of the underlying engineering. Too many CAD software options on the market are either devoid of an intuitive layout or full on features without the encoded stamina to keep up. Fortunately, it seems the makers of TinkerCad have struck the proverbial balance between both ends of the spectrum. If industrial design is your calling - don’t hesitate to consider pursuing it academically. However, don’t feel as though this is the only path to understanding the art and science behind building better products for tomorrow. Tools like TinkerCad provide a means to create 3D models without intimate knowledge of draft and design, enabling users to dive right into the creation of virtual objects ultimately brought to life.